A beautiful large holiday house with great facilities which welcomes all. 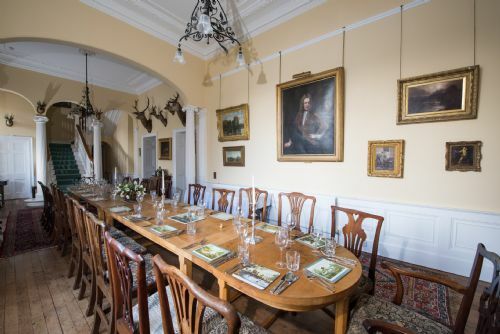 Imposingly situated on the exquisite Moray Firth overlooking Findhorn Bay, extravagantly spacious Burgie House is a large luxury holiday retreat. With classically beautiful architecture and room to sleep 25 in style and comfort, this is possibly one of the most exceptional holiday homes Scotland offers. 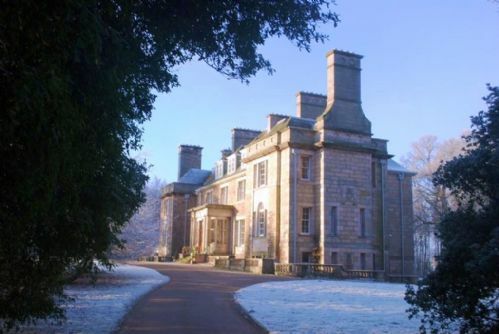 Elegantly nestling in 1100 acres of private land, Burgie House makes an ideal family, sporting or wedding location. We had an excellent stay at Burgie House. There were 25 of us, and the house was plenty big enough for us all to stay comfortably. The house was lovely and warm, despite being big. The grounds were lovely and we enjoyed some brilliant walks. We will definitely be returning. Thank you! Our sixth visit to Burgie and once again an excellent visit to this fabulous house!! Plenty of space for everyone to relax and enjoy the weekend. This year we had a Hogwarts weekend!! An ideal location. Huge thanks to Alec and the team! We’ll be back!! 9 adults and 7 children had a great time in this beautiful old house. Kids loved playing hide and seek and hunting for ghosts. Adults had an excellent time with their own murder mystery night, which found the reverend guilty. A real character house with a lot of rooms for everyone. The owners are doing a great job of renovating the house but it will take time. Some of the rooms look s bit tired but I can honestly say we all had a brilliant time. House is inactive good area that lends itself to plenty of places to visit. Would love to return one day. A wonderful venue for our special weekend. Had everything we needed and in an excellent location. Plenty varied things to do in the surrounding area. Enjoyed the coal fires and the large dining table in particular. Water pressure not so good in some of the showers. Our family, all 18 of us, had a wonderful weekend at Burgie House. The house is huge and there was plenty space for all the families and 4 kids to enjoy the celebrations of a 30th & 40th Birthdays. We had dancing in the Ceildih room, billiards in the billiard room and enjoyed the grounds in beautiful sunshine even in November. Although the weather was cold the house was cosy and the lit fires enhanced the sitting rooms. We would highly recommend Burgie House and would love to return for another family trip. Burgie House is a unique venue. It is an older property and as such is beginning to need more tlc in terms of replacement of furnishings and decor. If I had any criticism more attention needs to be made in speedily acknowledging payment/s. Having said that the group returned for the second year and enjoyed the trip. We stayed with a mixed group from toddler to pensioners and the house was perfect for us. A well stocked kitchen, comfortable lounges, great dining hall and the superb ceilidh room all helped to make this a success. The owners were friendly and welcoming and the house was warm. We all enjoyed the lovely fire in the main sitting room. We took the opportunity to explore some of the amazing grounds as well. Amazing house in fantastic grounds. Little shabby around the edges but that adds to the charm. Couple of bedrooms on top floor are a bit rough and could do with some work but again only really a place to sleep as there are so many other areas to relax with the four living rooms. Only real issue we had was with the flies but think they come with time of year - make sure you stock up on sticky fly strips. Great base to visit lots of places around Moray Firth - we even managed to get to Fort William and have a trip on Jacobite steam train (Hogwarts Express for Potter fans). Amazing day out well worth the drive. We have, over last few years, stayed in number of large properties as group of family, friends and children. This is probably the grandest one yet. 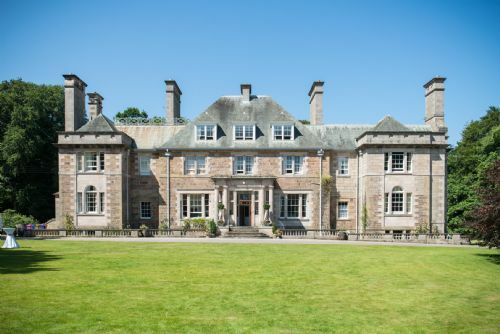 Burgie House is stunning, in lovely grounds and the perfect place to stay for a relaxed family celebration. There were 21 of us ranging from age 11 to 76 and the house easily accommodated us all. The grounds are beautiful and the area is lovely to explore, with beautiful beaches and coastline and dolphin watching. There was plenty to amuse everyone for a week, with beach days at Findorn, dolphin watching at Kessock and Chanory Point, visits to Culloden and Fort George, lunch in Forres etc. In the evening the kitchen and dining table easily accommodated us all for meals and the ceilidh room was a lovely size for a ceilidh and other fun activities like karaoke. Overall, I could not recommend this beautiful house highly enough and I would happily return. This was our second family reunion at Burgie and it exceeded our high expectations. 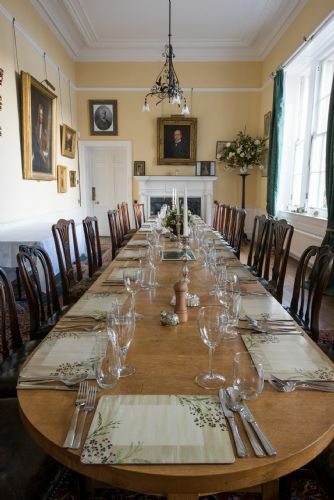 Many improvements have been made to the house since our previous visit without changing the traditional and highly attractive character of the house and its furnishings. There were a few minor problems which are inevitable in an old house of that size and style but they did not affect our enjoyment and Polly went out of her way to deal with them. The estate is extensive and extremely interesting, particularly Hamish's arboretum, and the walks are beautiful. We have already decided to return to Burgie for our next family reunion. My wife and I, plus another 18 family members, spent a week at Burgie House in early May 2018. The family travelled from Australia, Canada, the US, Ireland, the Canary islands, and the UK, and we had an absolutely fantastic time at this beautiful spacious house in lovely gardens. The house coped well with all of us, as it has plenty of bedrooms and bathrooms, with several lounges, a big kitchen/breakfast area, as well as a huge dining hall, ceilidh room, and snooker room. We just couldn't have enjoyed it more. The house is not too far from Forres, where there are shops and restaurants. The house is up a longish road and drive off the main road between Inverness and Aberdeen, so a car is probably essential. But we had a minibus, plus three cars, and there was plenty of parking space. The staff looking after the property between lets are great, and very helpful. We had no issues with any of the facilities, and thoroughly enjoyed our stay. Great place!! We stayed at Burgie House for the 80th birthday of a family member and honestly couldn't have been more pleased with our pick. The location is fab - easy to get to but still makes you feel as if you're in the middle of nowhere, and the surrounding grounds make for a lovely walk. The kids can generally roam as they like, although small children may need to be watched near the pond at the back. The 20 of us fit very nicely into the house with room to spare; we spent most of our time together in The Sitting Room. The gorgeous old fireplaces are really effective in heating up the rooms and we were never too cold. The house in general is just beautiful! It is in fact not kept in utter pristine condition, and far from being a drawback this was something we really appreciated; it made it feel very homely and welcoming, and meant we weren't afraid to actually use the furniture etc. as it's meant to be used, which you sometimes are in other great houses. It's also very cool because it means much of the history of the house has been kept intact (we were particularly interested in the use of the oddly-shaped box on the chest of drawers outside The Morning Room!). Upon arrival it was spotlessly clean, with all the bedding and linen of very good quality. There's enough kitchenware for enormous parties and we very comfortably cooked for all 20 every night of our stay. Activity-wise, there's a lot to keep you occupied. The kids had such a good time playing Sardines in all the nooks and crannies and playing rounders on the front lawn, and the adults appreciated the pool table in the basement. We also kept ourselves busy with horse-riding, whisky distillery visits, and walks on the beach. The booking process was quick and simple; Alec was really accommodating and Polly was very thorough when she showed us around upon arrival. She was also very easy-going when it came to our check-in and check-out times. Thanks, guys! Overall, I just can't say enough good things about this place. We had the most fabulous time and it suited us so well that we are seriously considering making it a regular for any future family holidays.